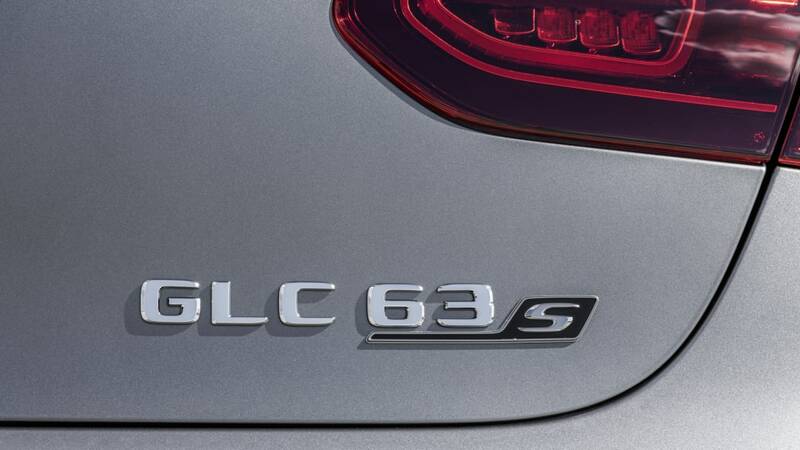 The updated GLC 63 lineup gets revised headlights and taillights, new exhaust finishers, an electronic limited-slip differential standard, and optional MBUX availability. 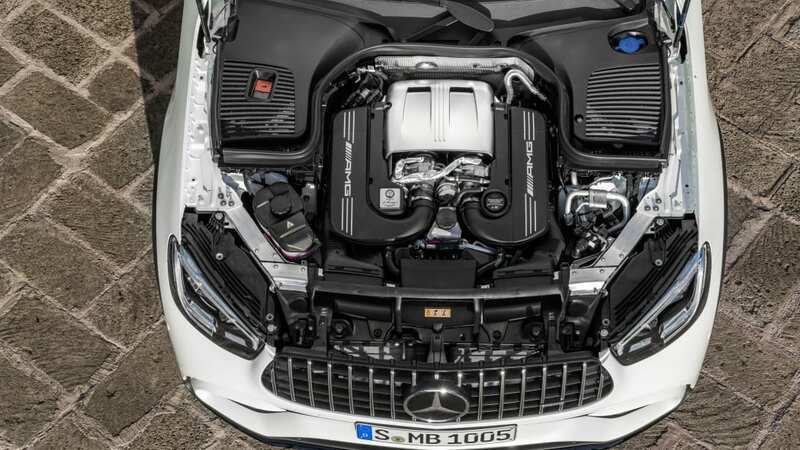 Output holds steady at 469 hp and 497 lb-ft. 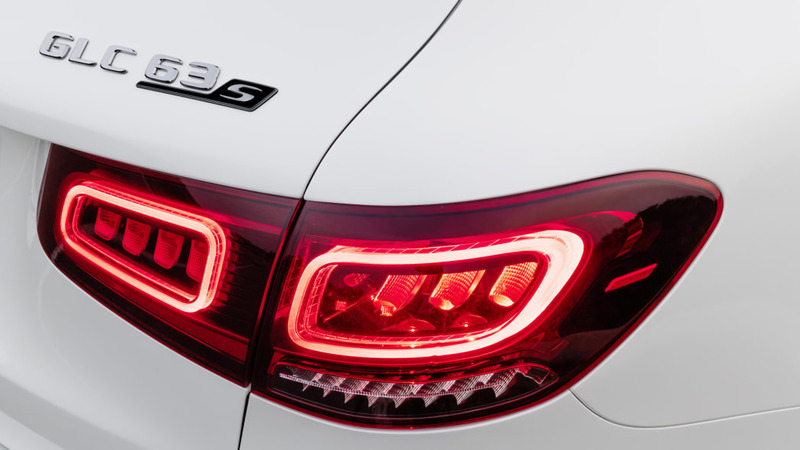 The S gets the lineup changes, but the same 503 hp and 516 lb-ft as before. 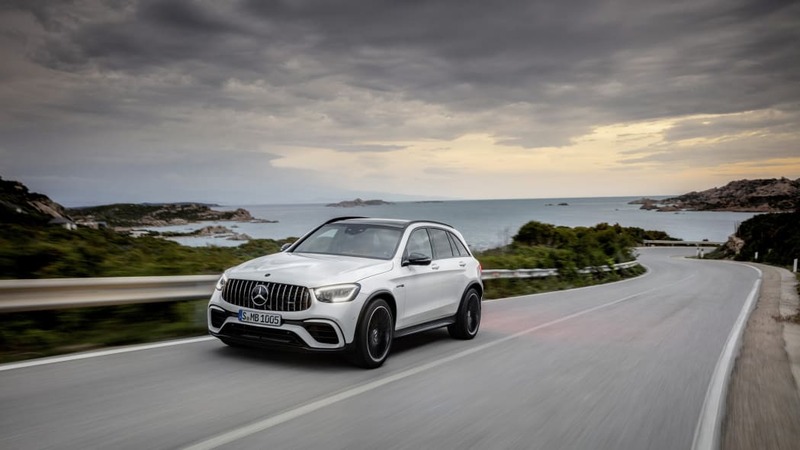 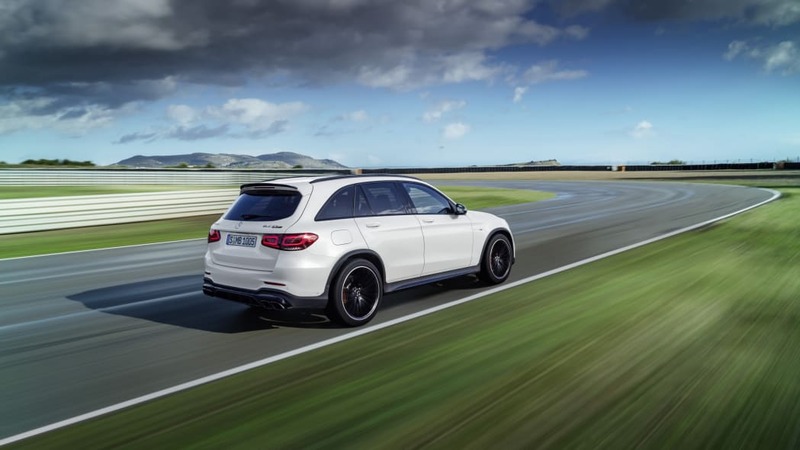 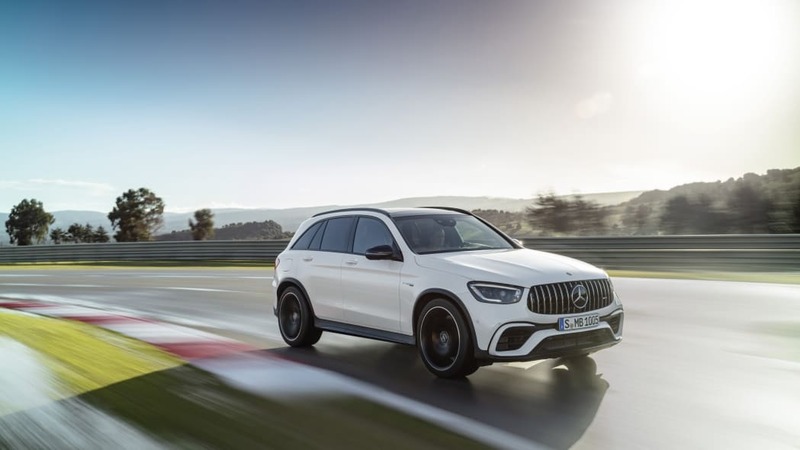 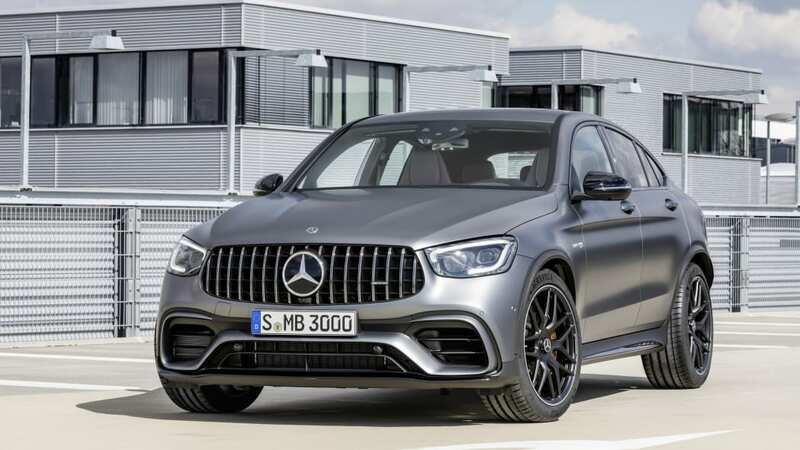 The hottest version of the GLC 63 set a 7:49.369 lap time around the Nurburgring, putting it two seconds ahead of the Alfa Romeo Stelvio Quadrifoglio. 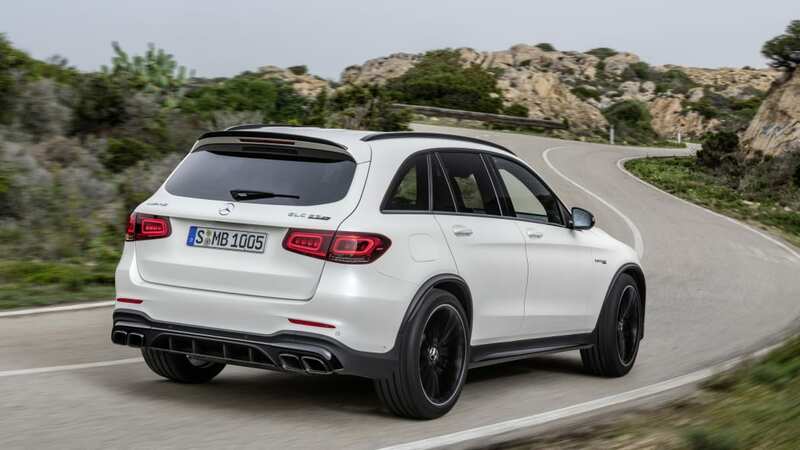 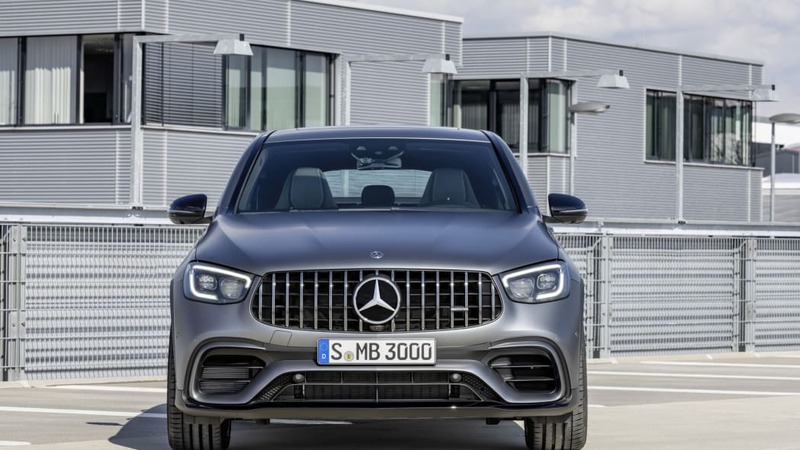 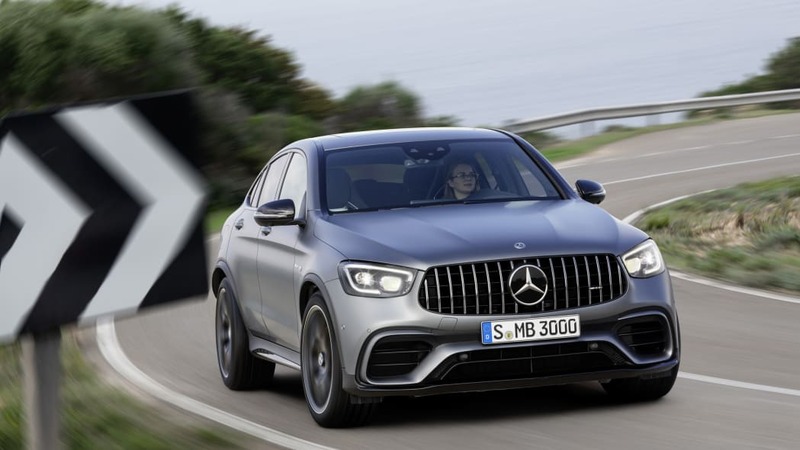 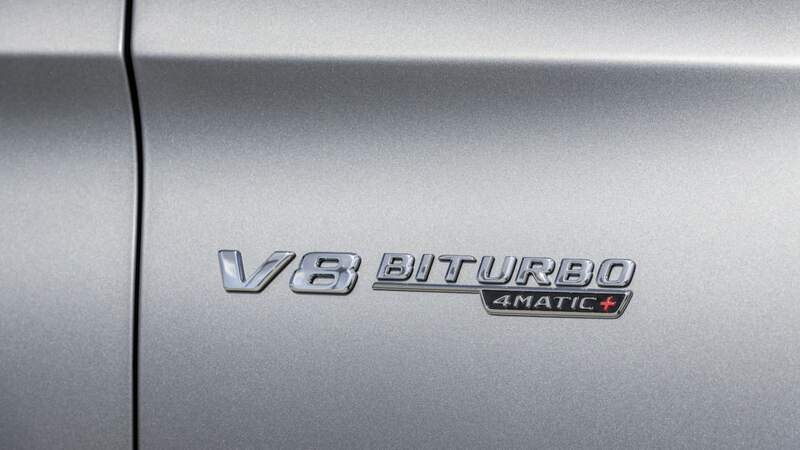 Mercedes-AMG only put a 4.0-liter twin-turbo V8 in the GLC compact SUV less than two years ago, and has made steady design changes to the line ever since. 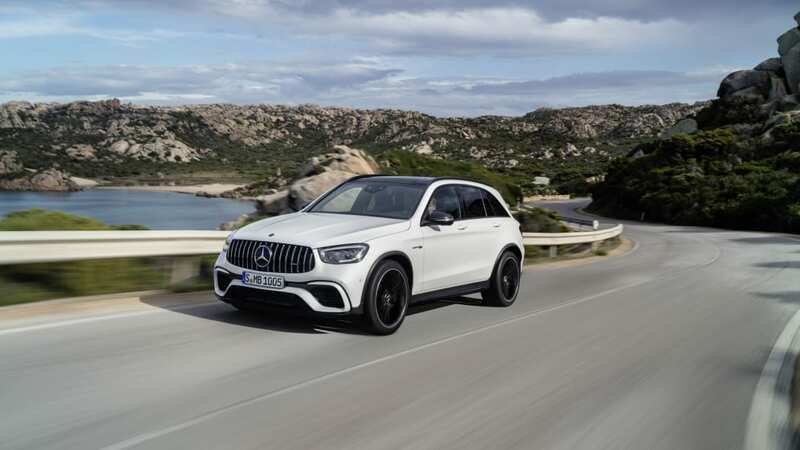 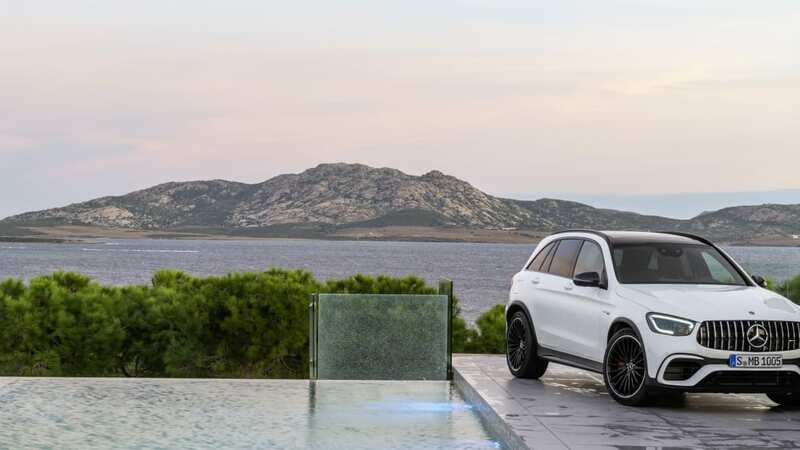 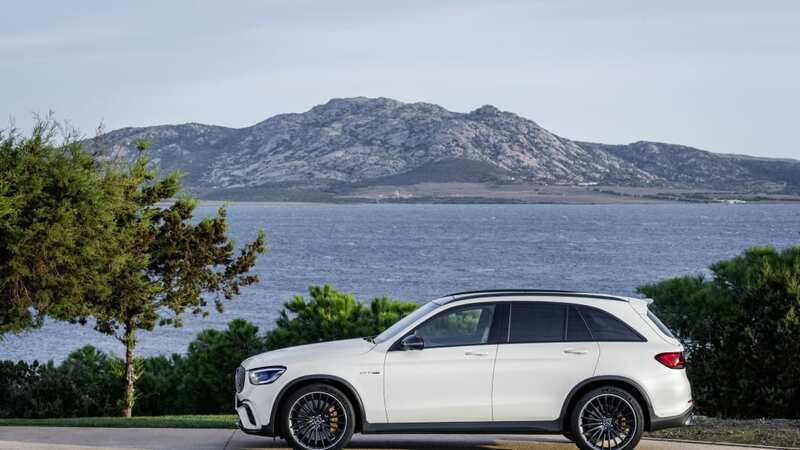 This year is no different, the entire AMG-touched GLC lineup getting the aesthetic tweaks revealed on the standard GLC at last month's Geneva Motor Show. 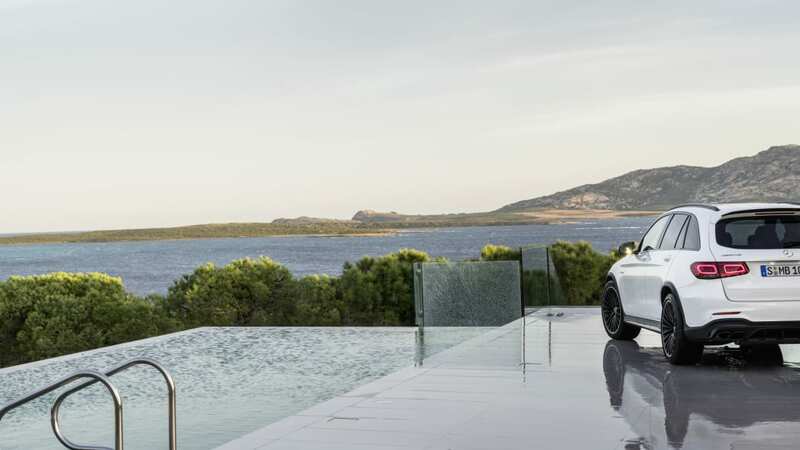 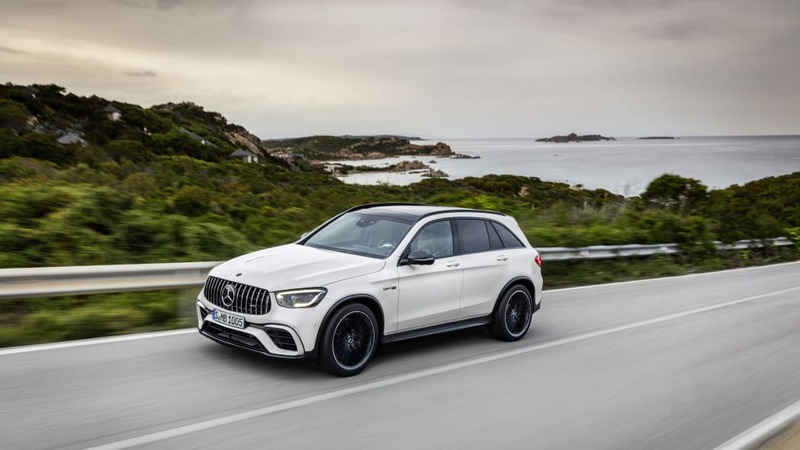 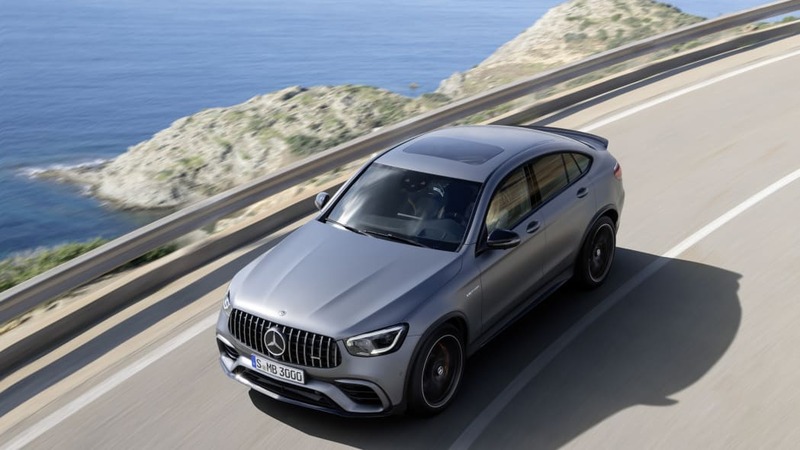 On top of that, there's a new Slippery driving mode among the five or six options, a standard electronic limited-slip center differential, new AMG sport steering wheel, and the MBUX infotainment signs on with the optional MBUX Interior Assistant. 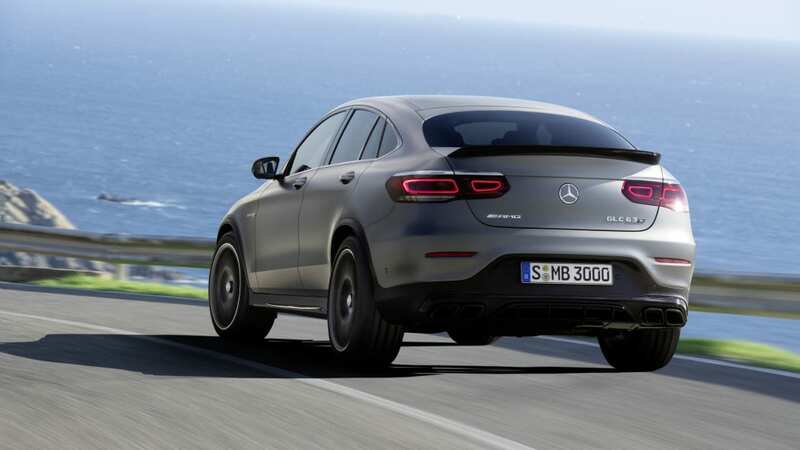 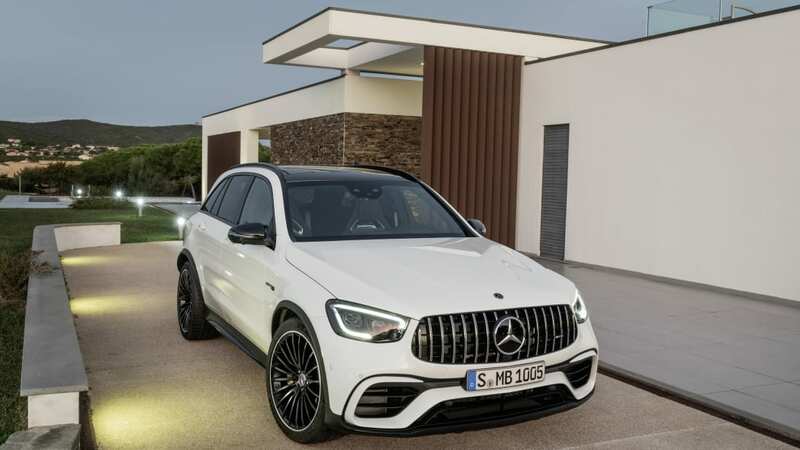 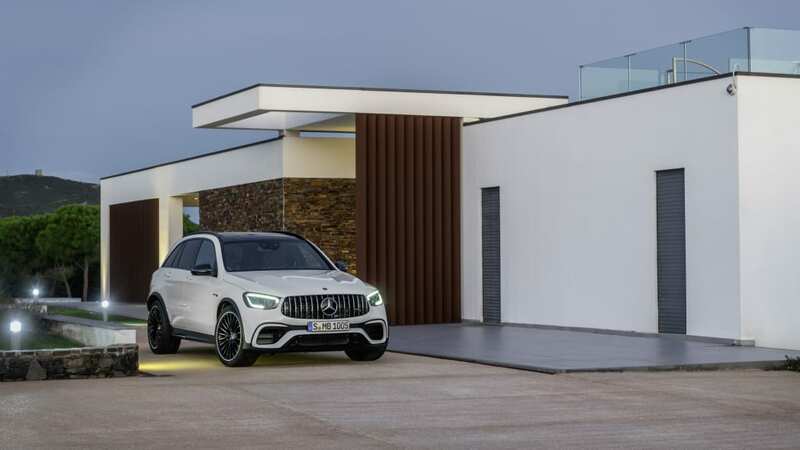 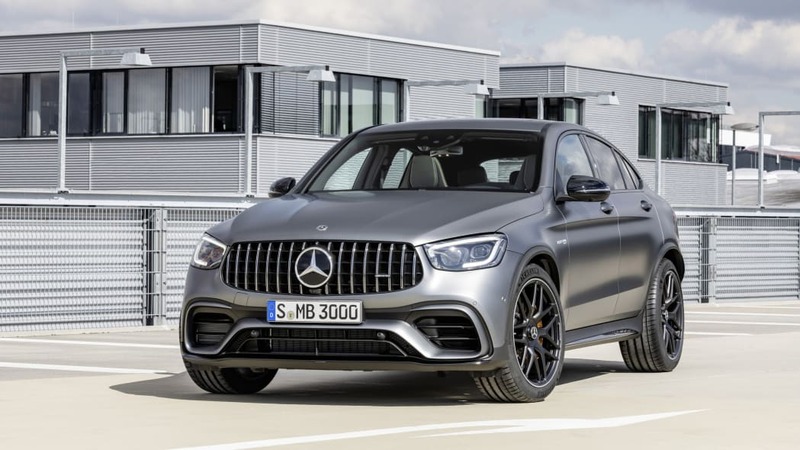 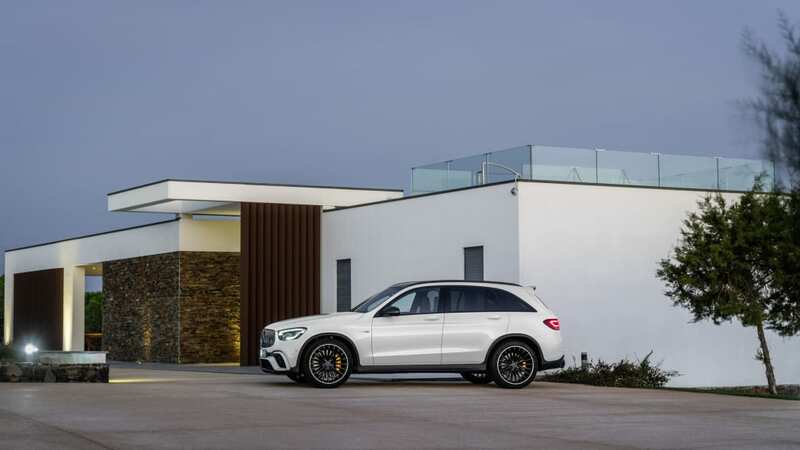 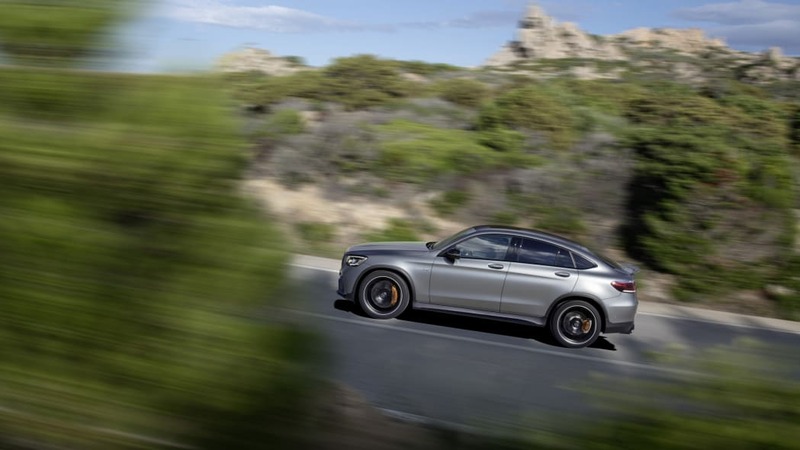 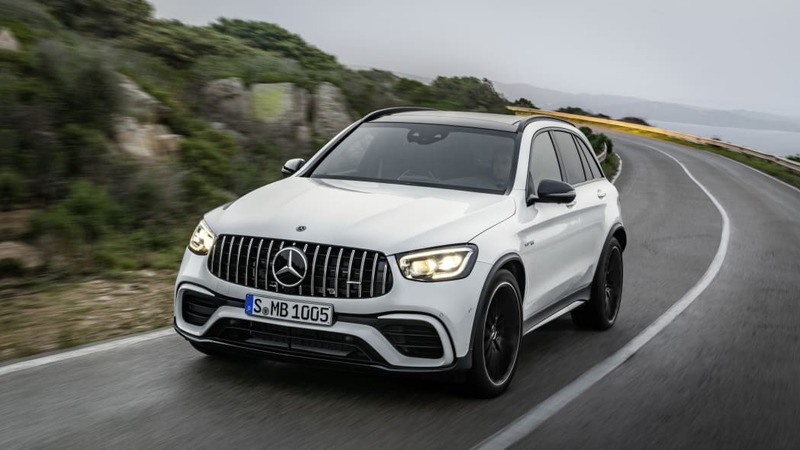 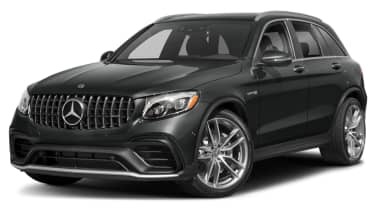 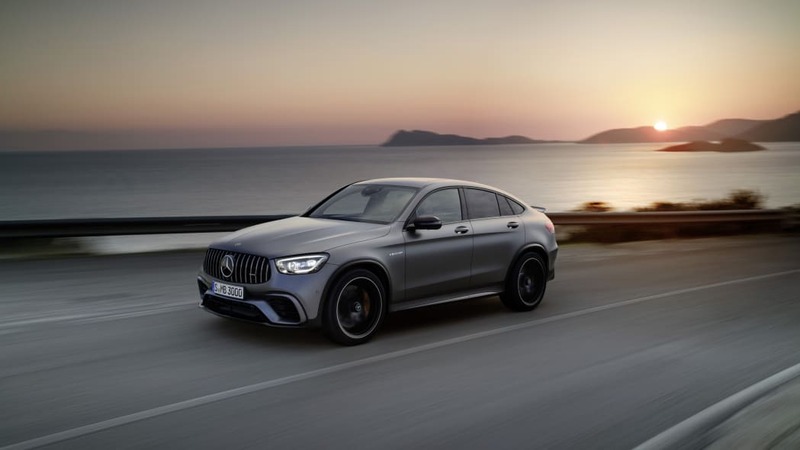 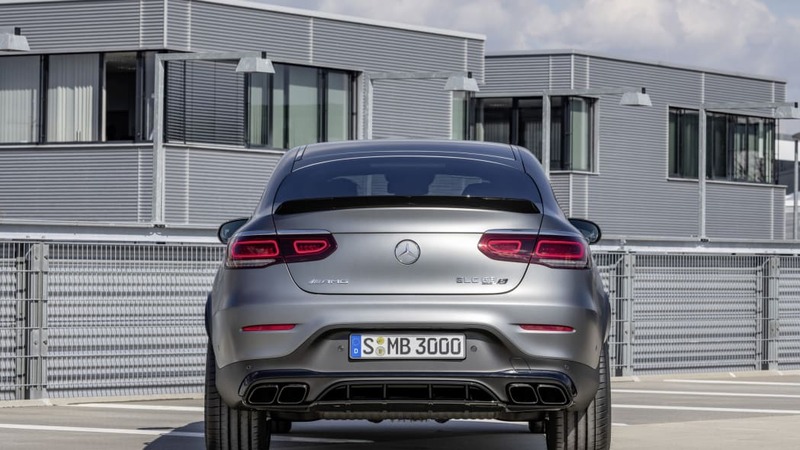 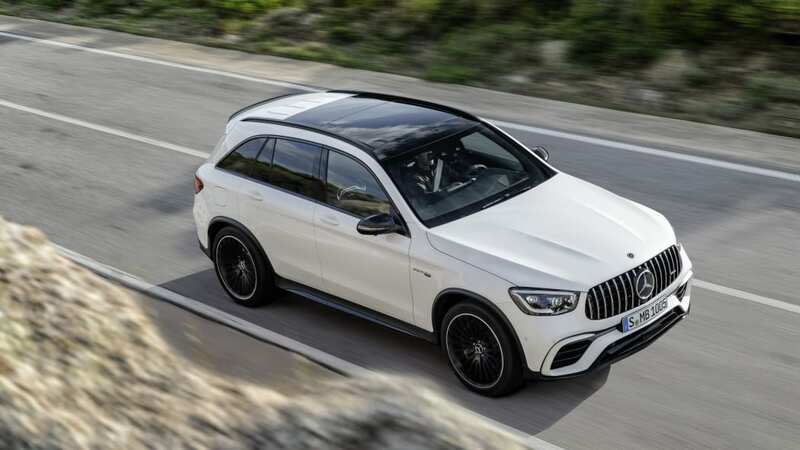 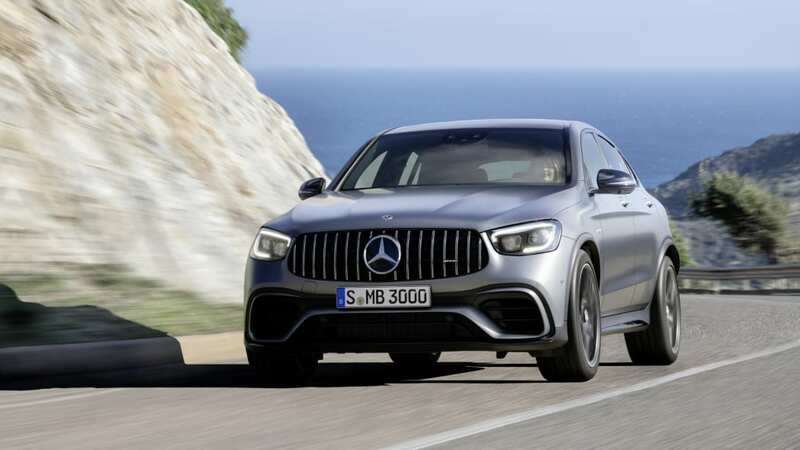 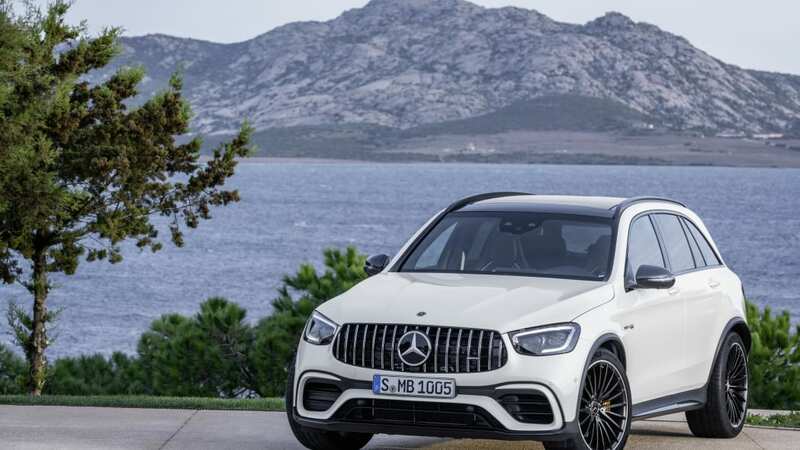 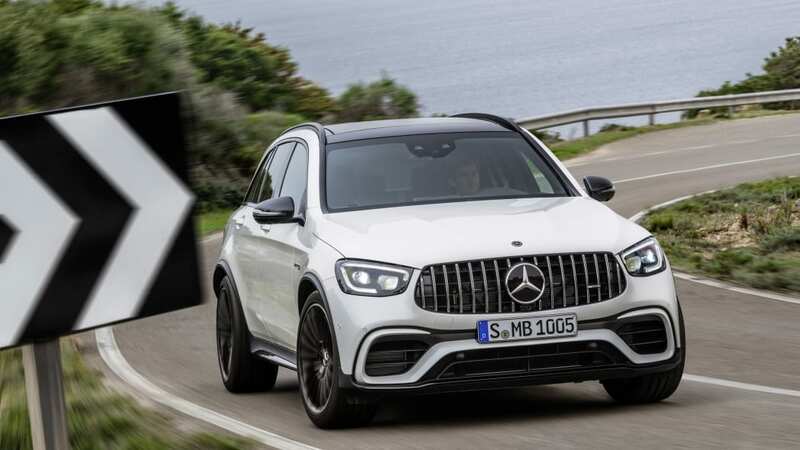 The Affalterbach division wants to trumpet that the GLC 63 S Coupe - the hottest version in the range - lapped the Nürburgring in an officially notarized 7.49.369 minutes. 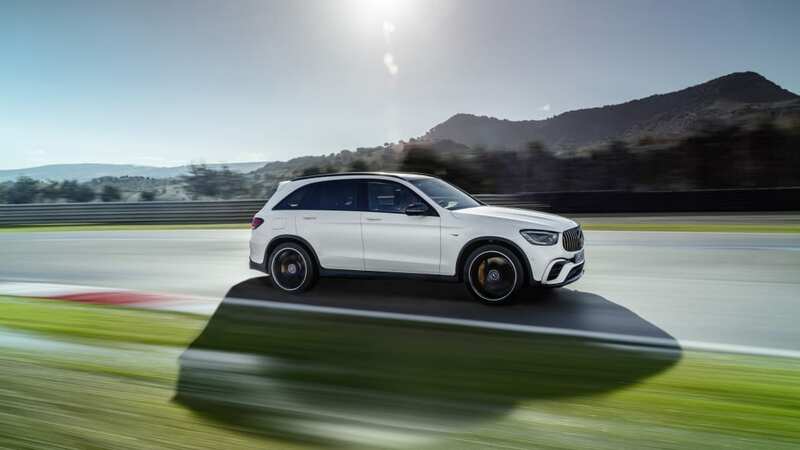 That makes the four-door clambake the fastest SUV on the 'Ring, having crossed the line 2.4 seconds ahead of the Alfa Romeo Stelvio Quadrifoglio. 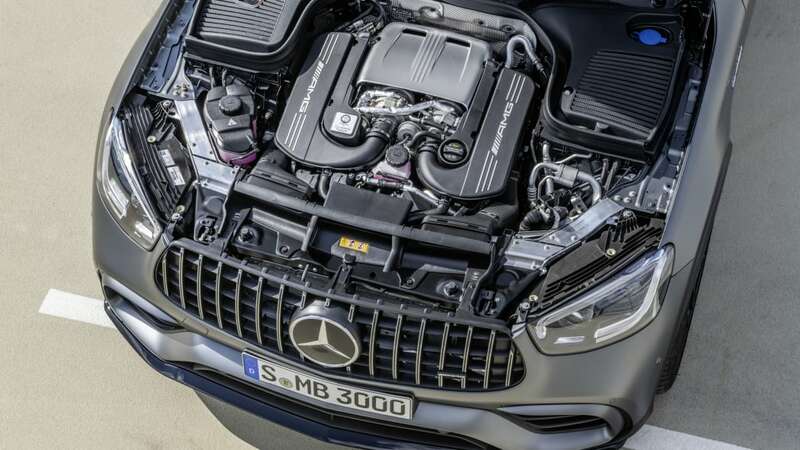 The feat succeeded without any changes to the engine. 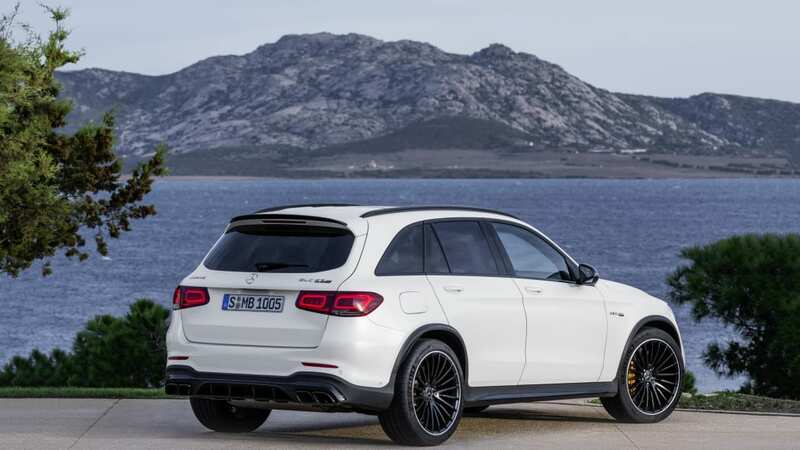 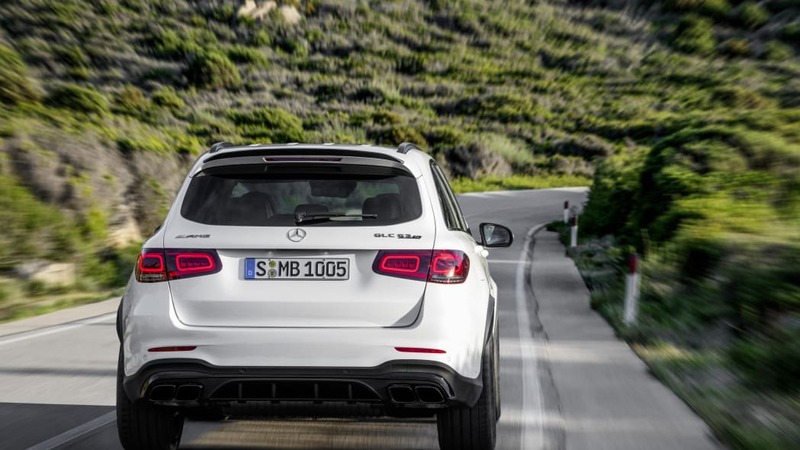 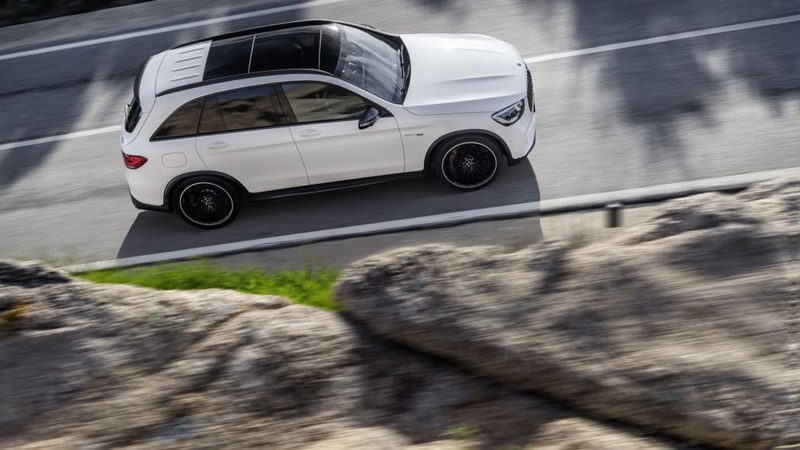 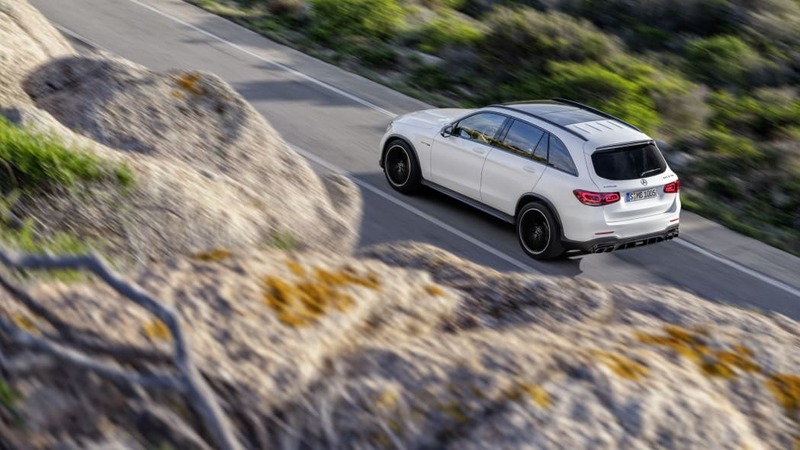 The regular GLC 63 holds pat on output with 469 horsepower and 497 pound-feet of torque. 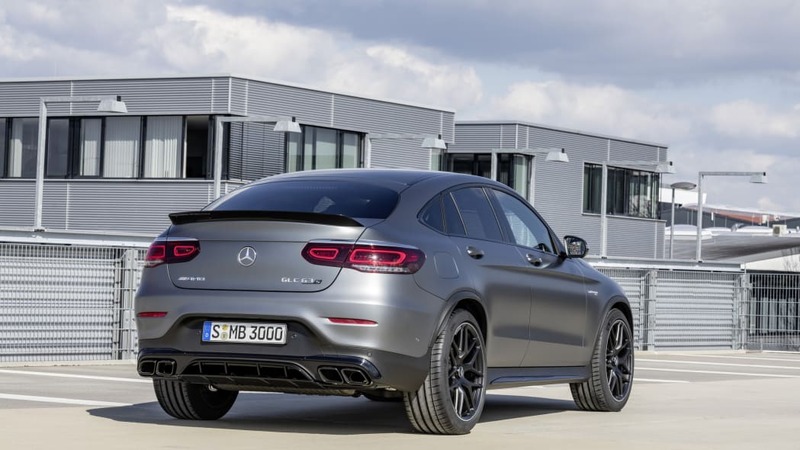 The GLC 63 S Coupe still manages 503 hp and 516 lb-ft. 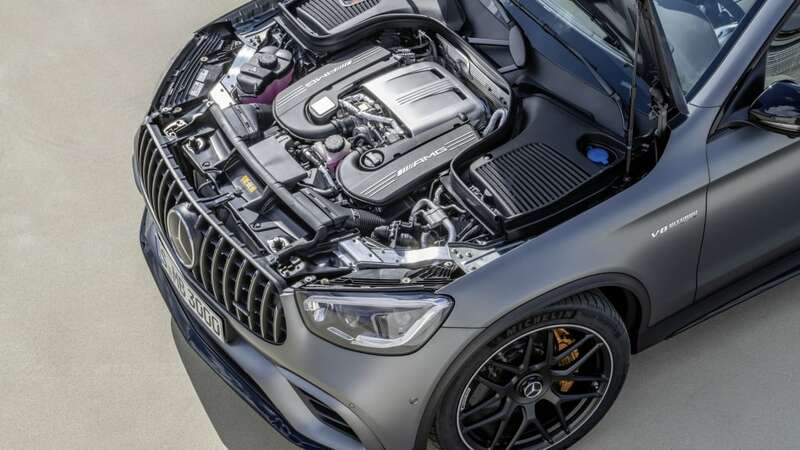 They both shift through AMG's MCT 9-speed transmission which uses a wet start-off clutch to replace the torque converter. 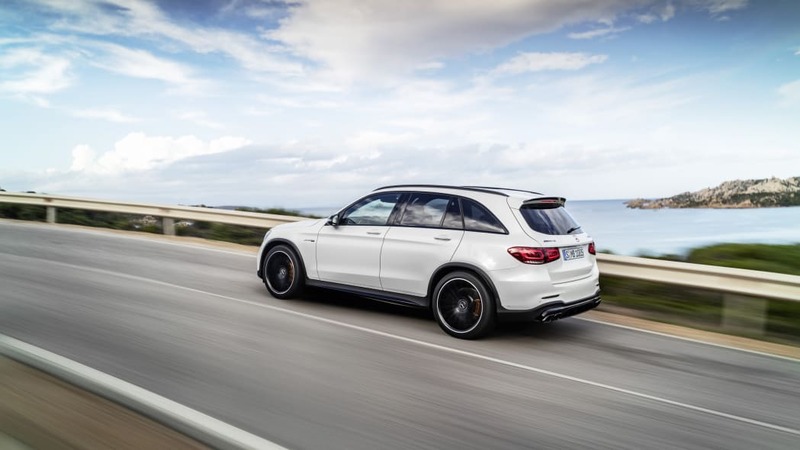 Cosmetic changes joining the LSD are a new Graphite Gray Metallic exterior paint and optional 21-inch wheels outside. 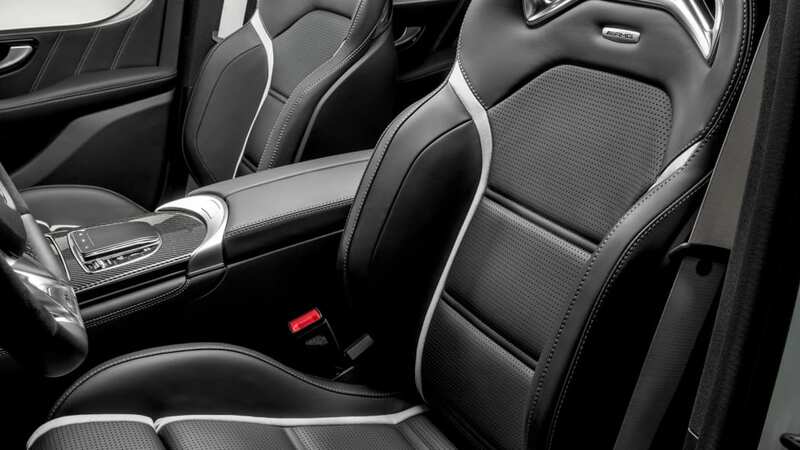 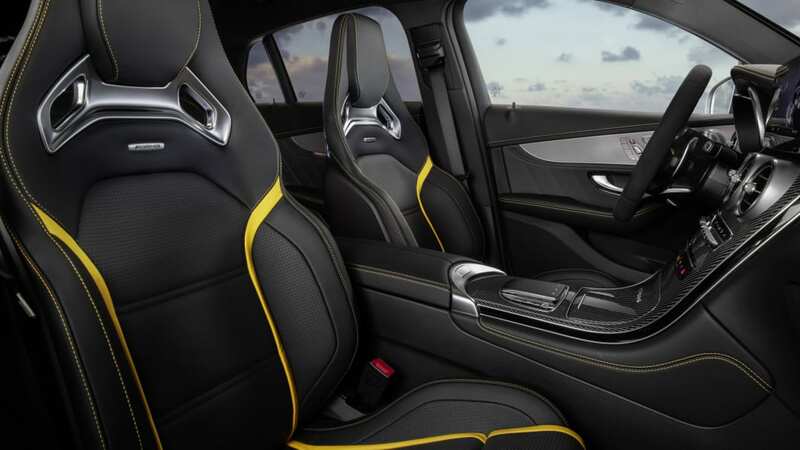 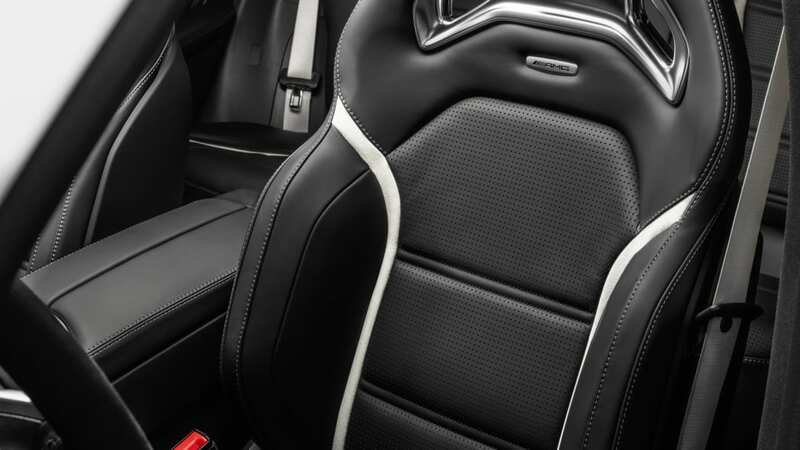 Inside, there's the choice of new Magma Grey upholstery with Black Nappa leather and yellow contrasting topstitching to go with the flat-bottomed steering wheel. 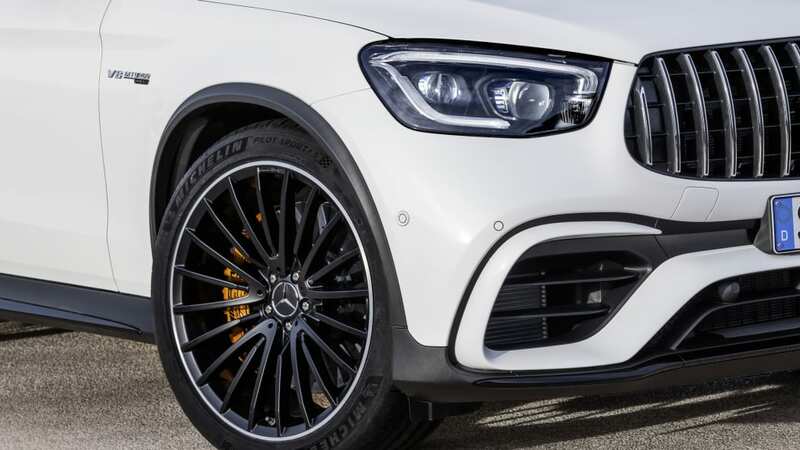 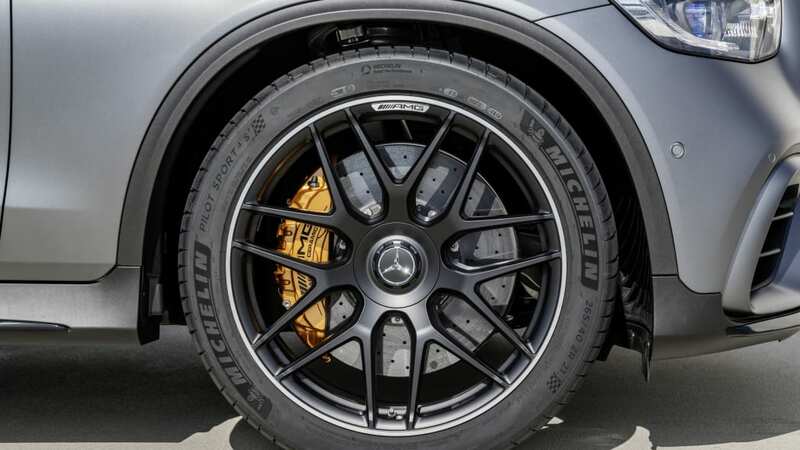 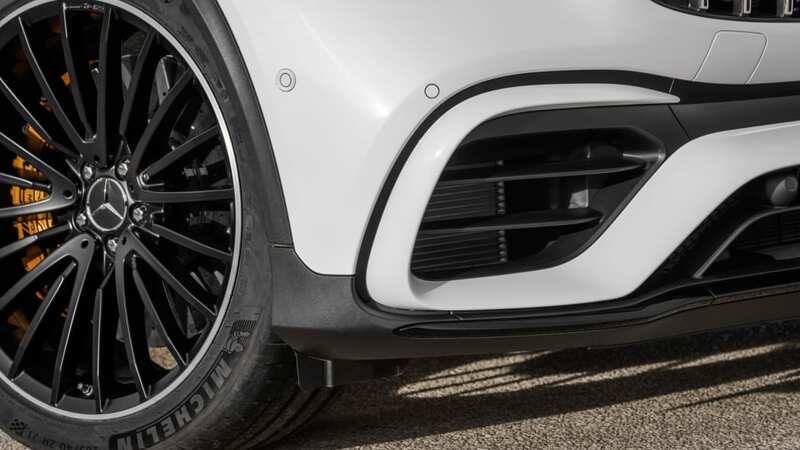 That wheel fits the AMG Drive Unit, and can be wrapped in various materials on the S model. 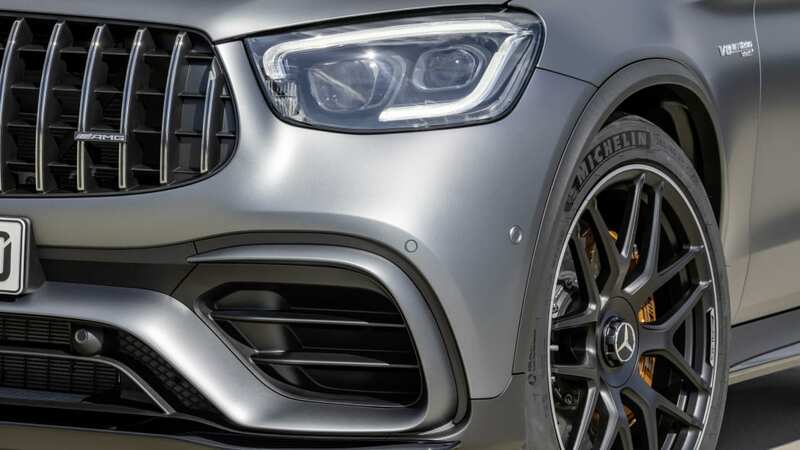 The S separates itself otherwise with a six drive modes instead of five, a "Master" AMG function mode beyond "Basic" and "Advanced," dynamic engine mounts, exclusive headlights with matte Iridium Silver inserts, fins on the rear diffuser, and a diffuser trim strip in matte Iridium Silver.